Our first stop in Greece was up in the mountains at a lovely place called Vikos Gorge. It is a spectacular gorge but also for the scenery on the drive to the gorge. My image of Greece before coming had mostly been about islands and ruins, so this was a different start. The next day we were off to the Greek island of Corfu (which is so far north it sits more in front of Albania than Greece). We happened to catch the ferry across to South Corfu, which was a good choice as it's less expensive and meant it was easier to find a quite beachside location nearby to camp the night (if we'd taken the Kerkira (Corfu city) ferry we'd have arrived in a very developed part of Corfu). Our information told us that all campsites on Corfu are closed in November, so we wildcamped (pamped) in 4 different locations for the 4 nights we were there. We saw a lot of Corfu during our stay. 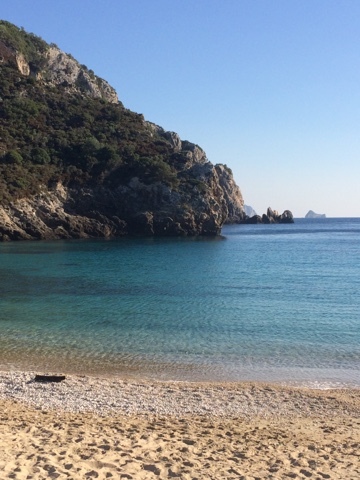 We really liked seeing the really old olive groves, and, of course, Corfu has some stunning beaches. It's off season for tourism so some tourist towns were pretty much ghost towns. But, travelling in other parts of Corfu people gave us friendly waves as we passed through. 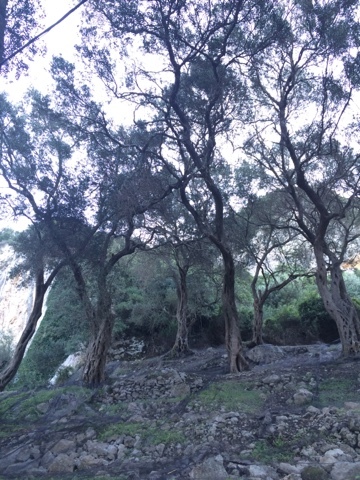 Gnarly old olive trees on Corfu. 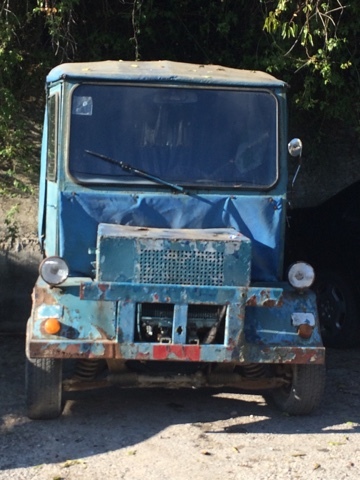 We saw a couple of these utes on Corfu. My favourite find on Corfu: Palaiokastritsa. Isn't it stunning! The South Corfu ferry is less expensive. In the city you can park around the green that's between the waterfront fortress and the city centre. We paid €3 for all day. Tap water is available at gas stations on the island, but we found it slightly salty. Fill up your tanks before you get there. We noted that at supermarkets everyone seemed to buy bottled water.